Why do you do this every, single, day? Your faith in God has become known everywhere (1Thessalonians 1.8 The Message). On Friday, September 17, 2010, I travelled to Canton, New York. I knew I was in a small town because I would have to drive all the way to Canada, but only 90 minutes away, to find the nearest Starbucks. It turns out that my visit there was the ideal place to ponder my day’s Post-It note message without the ordinary distractions. Canton is the “Mayberry-RFD” of the northeast. That weekend’s quaint Hope Festival welcomed people of every age with music, cider, and tables brimming with handmade crafts and home-grown produce, cakes, and honey. Canton was where the Rev. Clinton A. McCoy Jr., made his home and it was the place where he would have his final home-going. Clint, 62, died suddenly on Sunday, September 12, 2010. Everyone knew what Clint stood for. Clint was known by many across the Presbyterian Church (U.S.A.) as the Synod of the Northeast’s Executive for Partnerships. In that role, Clint effectively helped guide and resource the Synod and its twenty-three presbyteries. To many presbytery leaders like me, he was a listening leader, a wise coach, and I regarded him as my pastor. He is still deeply missed. Walking from Clint’s home, past the Hope Festival, on the way to the funeral home for services, my Post-It note message replayed in my mind: Why do you do this every, single, day? I thought about how Clint would have responded to that message’s question. Why do you do the things that you do? The family stories I had just heard hinted at the answer, but I could’t quite decipher it. I arrived early enough that Friday in Canton to offer love and support to Clint’s family, to his wife Barbara, and his grown children. I also had the honor of extending gratitude for Clint’s ministry on behalf of Newark Presbytery, the New Jersey presbytery leaders, and the Synod’s executive collegium. Clint enjoying one of his signature activities, fishing. 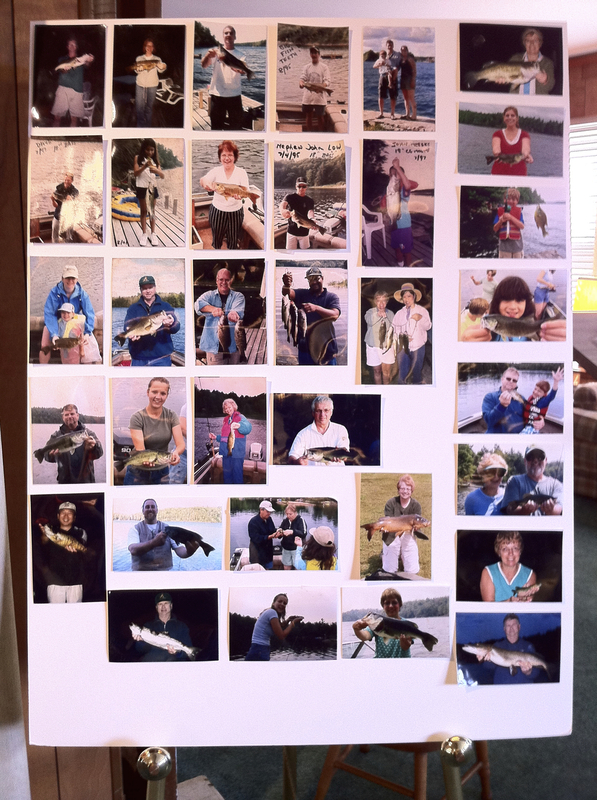 I enjoyed the stories, (mostly fishing stories, Clint’s signature activity), being tearfully recounted as shared photos were passed around in tribute to a man who added so much joy to so many people. Why do you do this every, single, day?, I asked myself. Recreation of Clint's refrigerator door. Well, one thing’s for sure— “work” as I typically regarded it, was not what got Clint up in the morning. Clint was real. He stood for something that mattered. What does your church stand for? What you truly stand for will be how people will remember you. What would the neighbor’s say? What would they remember about your ministry? What would your “refrigerator-door gallery” look like? The Lord’s message rang out from you not only in Macedonia and Achaia—your faith in God has become known everywhere (1Thessalonians 1.8 The Message). To effectively contribute to the change we want to see in our families, our work, the community, and in the world, we must begin by understanding, appreciating, and respecting each other, and those around us. Let's invest our gifts in what matters. We rarely have time for everything we want in this life, so we must make choices. Clint made his choices. We were all blessed. Hopefully, our choices and those of our churches will come from a deep sense of who we really are. It’s never too late to begin living our lives with intentionality, humility, and authenticity. Christ-in-us visible in abundant faith and love will be expressed through tangible and coherent actions. I will always be grateful for Clint, and other great leaders like him. You can have a hope festival in your town, and life. Now you know what was was on Clint’s refrigerator door. What’s on your's?